Follow the below steps to disable Java in Internet Explorer with Group Policy. Open Internet Explorer, then from the Tools menu select Manage Add-ons. 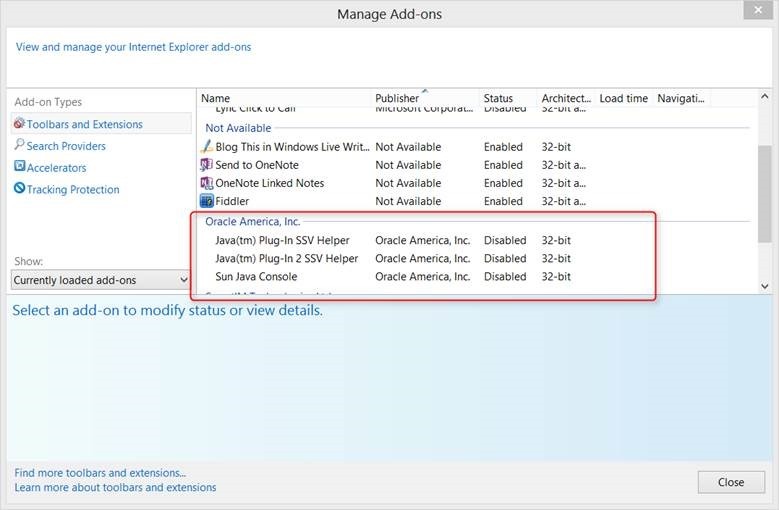 Locate the Java add-on, select and double click on it. Repeat the same for any other Java related add-ons. 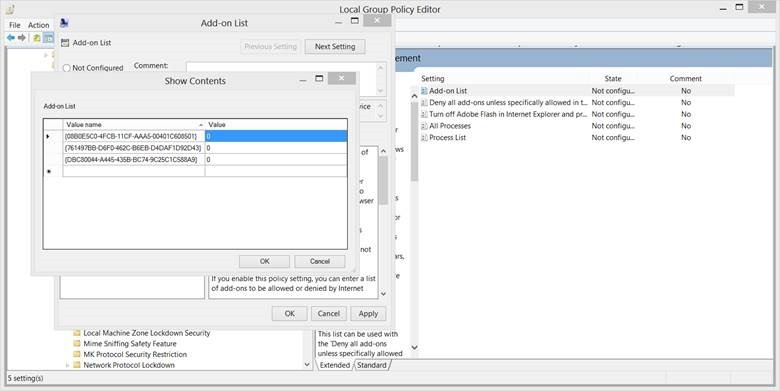 Now open the Group Policy editor and navigate to Computer Configuration \ Administrative Templates \ Windows Components \ Internet Explorer \ Security Features \ Add-on Management. Open the Add-on list Setting, Enable it and then add the Class IDs of all Java add-on-s to the list. Set the value to 0. Click OK to save the changes. 0 – The add-on is disabled, and users cannot manage the add-on from the user interface. 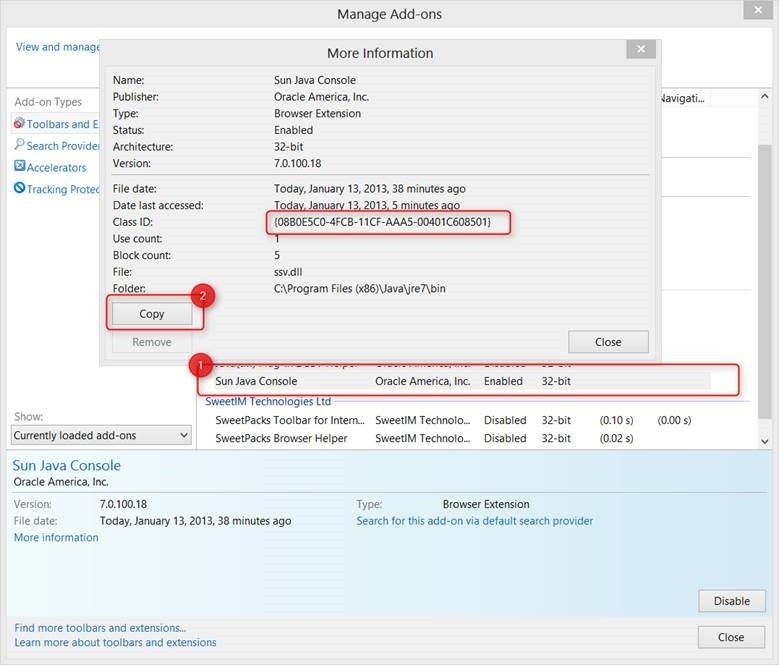 1 – The add-on is enabled, and users cannot manage the add-on from the user interface. 2 – The add-on is enabled, and users can manage the add-on from the user interface. Once the updates settings have applied to your machine the add-ons should be disabled.